Most projects last longer than planed. We often realize it, when it’s too late and this cost money and time. TimeTrack solves this problem with the project planning. A successful plan requires a target. 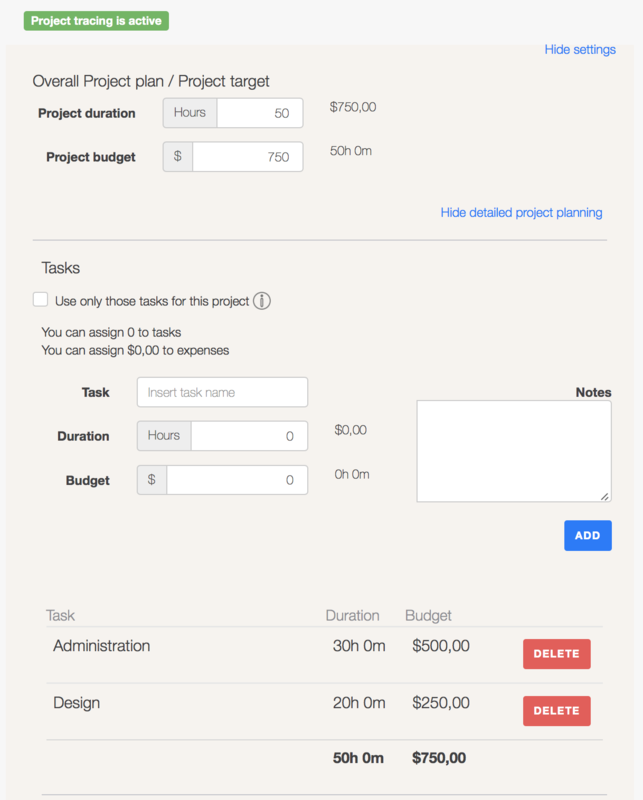 Set the expected project duration and/or budget. You can also enter the expected tasks and expenses. After that, the project tracking is activated, so that you and your team can have an eye on the project and evaluate it. TimeTrack tracks the progress of your projects and displays problem areas, if the actual state does not comply with the target state. With TimeTrack you know right on time if your team is working cost-covering. We want to avoid deviations from the plan . Our goal is to inform you sufficiently, so that your projects are executed efficiently and correctly.